The Brutus Silt Fence provides a temporary sediment barrier for construction sites. Use of the Brutus Silt Fence ensures construction is not in breach of local council rules. 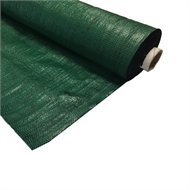 Made of heavy-duty woven polypropylene.